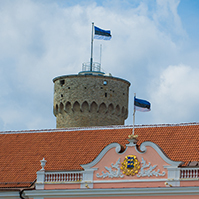 The Riigikogu is the parliament of Estonia. Its 101 members are elected at general elections for a term of four years. 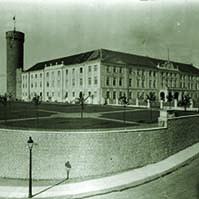 The Riigikogu passes laws and resolutions, exercises parliamentary supervision and ratifies international agreements. 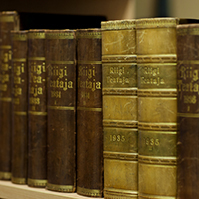 The Riigikogu has 11 standing committees and 6 select committees. Committees of investigation and study committees are formed to investigate issues of public interest or problems of significant imprtance. 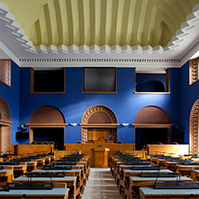 We make live broadcasts of sittings of the Riigikogu and commitees public meetings, as well as on other important events in the Riigikogu. The European Union Affairs Committee of the Riigikogu (Parliament of Estonia) heard an overview of the Startup Compass report about Estonia at its sitting today. 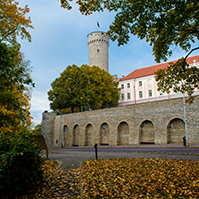 The report highly recognises the activities of the government of Estonia in supporting the startup companies, but also points out the obstacles and bottlenecks in the development of the area. Chairman of the Committee Kalle Palling said that the Committee will start with involvement activities in order to present its positions on how to make the business environment simpler for startup companies to the European Commission. The overview of the report was presented to the Committee by representatives of Startup Estonia Mari Vavulski and Rivo Riistop. The told the Committee that the report highly recognises the activities of both national and local government bodies in supporting startup companies. The e-residency and the solutions of e-state of Estonia are highly appreciated. The main challenges that need to be solved are lack of talents, lack of capital, investor-friendliness and inflexible tax system with no incentives. About one fourth of the employees of the Estonian startups are foreigners. But there are no incentives on foreign employees that would make it easier to import talents from abroad to Estonia. Lowering of labour taxes, tax instalment option, social tax cap, fixed licence fees for starting companies and creating tax differentiations for options were suggested as solutions to the bottlenecks. According to Compass, there are 500 to 700 startups in Estonia, and by the end of 2015, they had created 2300 jobs and paid around 20 million euro as labour taxes to the state budget. 96 million euro has been invested in startup companies; 10 percent of this is Estonian capital. Your feedback is important. Please share it with us! 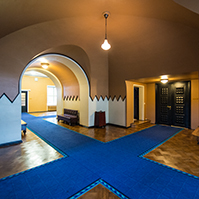 I give the Chancellery of the Riigikogu my consent to process my personal data.